Finding ourselves with time to kill on Friday morning, I suggested to Rebecca that we visit Little Qualicum Cheeseworks. Needless to say, she didn’t take much convincing at all – especially when I let her know that wine was also produced on site. Counting on a vino tasting combined with cheese sampling was all we expected, but that was more than enough for us gals. Somehow I had it in my head that we’d be arriving at a storefront, so you can imagine my surprise as we made our way up the dirt drive and onto an expansive farm overlooking Mount Arrowsmith. 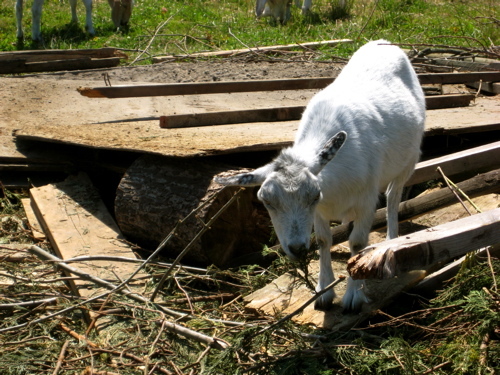 As it turned out, Little Qualicum Cheeseworks is situated on an active dairy farm with far more than just cheese and the cows that produce the milk to make it with. Realizing this, our first stop was the gift shop to get our bearings with a self-guided tour map. Within moments, we were greeted by Little Qualicum Cheeseworks’ Phil Charlebois. He was more than happy to tell us a bit about the farm and the cheese-making process while showing us around. Adjacent to the sterile environment in which the various cheeses are carefully crafted and made is the farm’s gift shop. If it’s farm or cheese-related, it’s in there! Perhaps the best part of the gift shop, aside from the copious cheeses for sale, is the ability to sample each and every one of them. The farm produces everything from award-winning brie to curds, fromage frais to feta, and a few creatively inspired varieties of their own – including Monterey “Jill”. 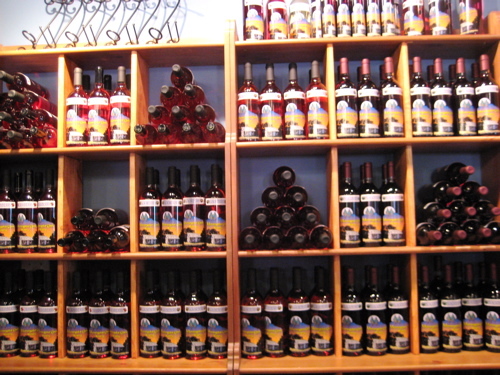 For the grown-ups, right next to Little Qualicum Cheeseworks’ farm, is a collection of berry bushes designated solely to berry-based wines that are produced on site. None of the newly-launched Morningstar Creek wines contain any grapes and instead are fermented with gooseberries, raspberries, cranberries and blackberries among others. The winery is truly a pride and joy for Phil, but unfortunately, due to a trademark on the name “Morning” in a winery, Morningstar Creek Winery will soon be known as MooBerry Wines. None of these wines are available in restaurants or liquor stores, so you’ll have to pay a visit yourself if you’d like to get your hands on a bottle. 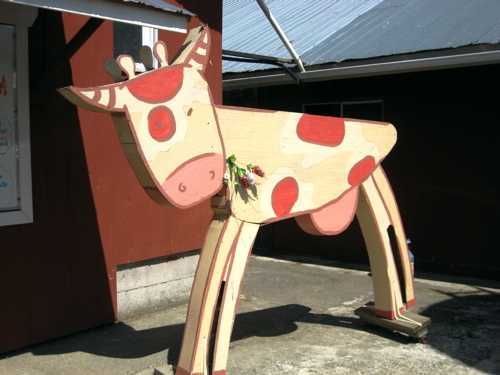 My absolute favourite part of the tour was setting my sights on all the animals that call Little Qualicum Cheeseworks home. 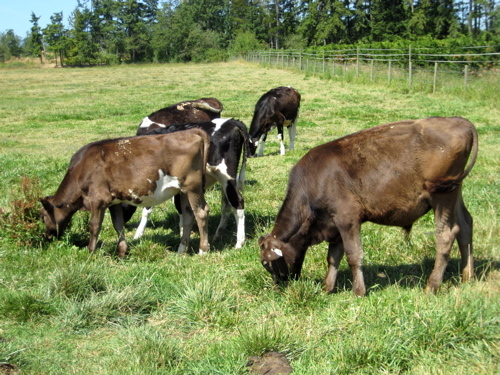 And on that note, I should mention that the farm is the only SPCA Certified dairy farm on Vancouver Island. 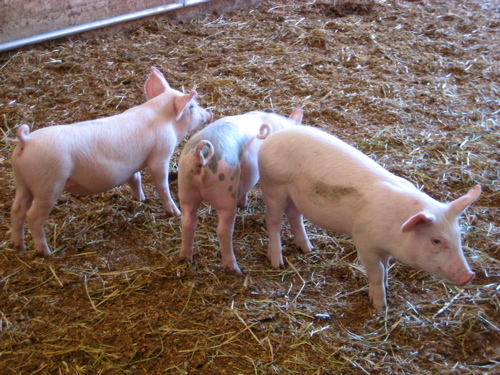 Click here to read more about what that means for the health and welfare of farm animals. These baby piglets were only four weeks old! 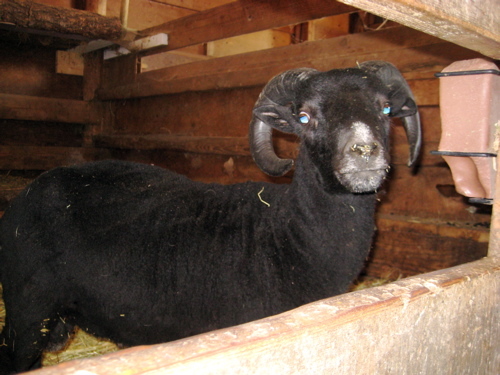 The only ram on the farm, Dodge (get it?) was one friendly boy. 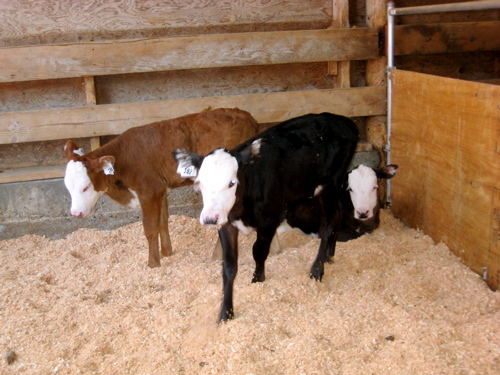 These young calves were happy to receive attention. I think the black and white girl in front may have mistaken me for her mother as she took my entire hand in her mouth and tried to nurse it. 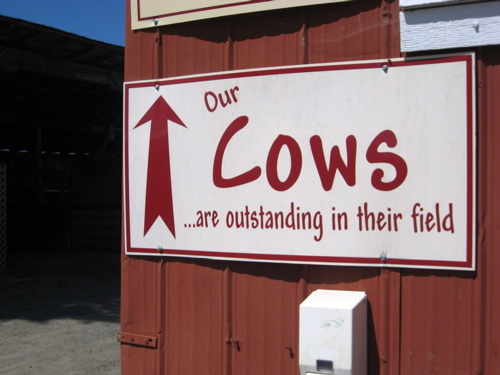 Being an animal-friendly farm, the dairy cows are provided with a fabulous lifestyle and are free to roam the vast acres when not being milked. Cute? Yes. Friendly? Not really. You can imagine my excitement when I spotted an ice cream stand serving Island Farms ice cream. 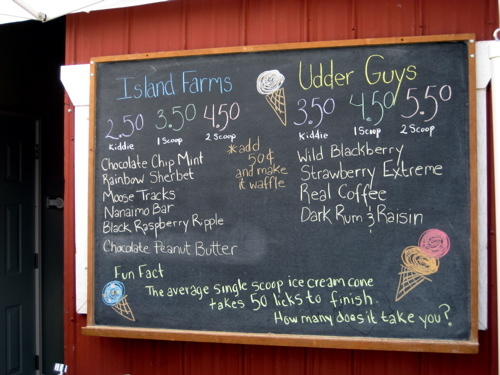 Also featured were several flavours from The Udder Guy’s Ice Cream Company out of Duncan, BC on the south Island. While I’ve never tried their ice cream, all 24 flavours are made from scratch so it would seem it’d be safe to say that they make for tasty cones! 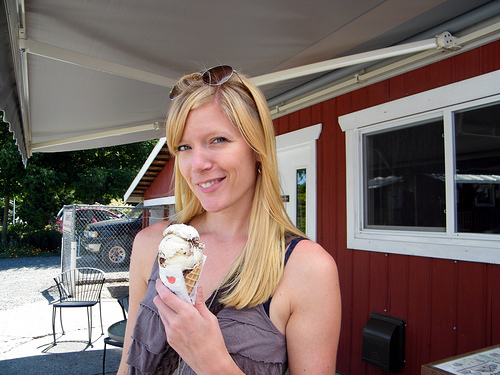 Tried, tested and true, I stuck with Moose Tracks in a waffle cone. 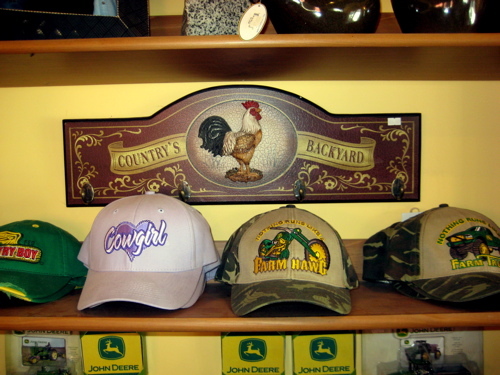 Be sure to read Rebecca’s re-cap of our visit to the farm here. Little Qualicum Cheeseworks is open Monday to Saturday from 9:00 a.m. to 5:00 p.m. 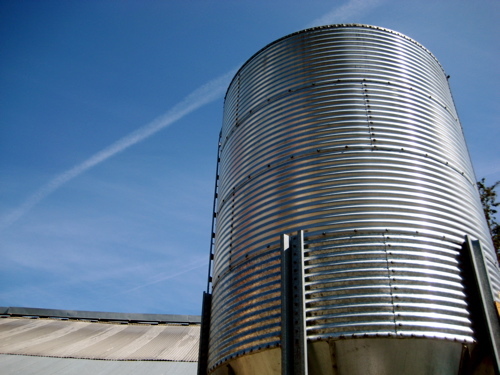 Allow for plenty of time on your visit to partake in a self-guided tour, but guided tours and hay rides are available for groups of eight or more. 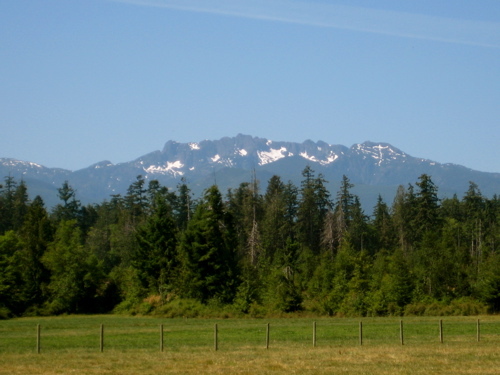 The farm is located at 403 Lowry’s Road between Parksville and Qualicum Beach. For more information, please visit Little Qualicum Cheeseworks’ website or call them toll-free at 1-877-248-4353. The various cheeses are available in most grocery stores on Vancouver Island and in the Lower Mainland, so keep your eyes open for it and grab one variety or four! I’m craving for Little Qualicum cheese curds now… mmmmmmmm yummy! I know, right? I could eat a whole bag! I’m taking my mom there for a visit on our way back from Tofino in August for sure. Try the raspberry-flavoured fromage frais on a bagel. Heaven! We are going to have so many places to stop on our little getaway! Your post has made me really hungry!